​The tension is high. Everyone’s breath is held. Parents grip their children’s sweaty palms. Drinks are forgotten, little children are silent, all in anticipation of the announcement. “I was really nervous, but I knew that whatever happened, I would be okay with it.” Ashley Jex recounted. Tonight is the announcement of Alta’s Sterling Scholar Awards. Over thirty students applied, and all of them had to write an essay, fill out an application, and endure an interview. “The interview was the hardest part.” said Katie Siebeneck. All of the applicants have tried their hardest and want to win so bad. Jenna Hickens recalls that during her freshman year, her sister won the Vocal Performance Sterling Scholar. “I decided I really liked French. I just kept working and keeping that goal in mind.” Each applicant is uniquely qualified for a win, and has spent years trying to reach their goal. They all wait anxiously for the announcement. Before Ms. Crane announced the winners, she took a second to congratulate all the applicants. It takes an incredible amount of work to be worthy of winning this. You need to demonstrate skill in a particular category and high academic achievement. Then she announced the winners. “I felt really accomplished, like all my hard work paid off.” Jenna Hicken explained. All of the winners are looking forward to future opportunities with the Sterling Scholar program. Katie Siebeneck is excited to be a Sterling Scholar because it’s “fun to meet new people who have the same goals and aspirations as me.” Congratulations to all the Sterling Scholar nominees and applicants! ​The 2016 seniors at Alta High school had a 98% graduation rate. This compared with the national average of 82% is quite amazing. Approximately 89% of Alta grads went to colleges in Utah. Alta High schools college week is coming up! It is November 7-11. There are a lot of good opportunities that come with college week. Here are a few things to keep in mind with that coming up. The top three colleges in state that people go to are The University of Utah, Brigham Young University and Utah State University. Last year some of Alta grads made the unique choice of going to college in Australia, and cal state. Ms. Scheffner a counselor at Alta High said “find the best fit” there are so many different options out there so keep an open mind when you are looking for a college to attend. Also keep in mind what you can afford. Keep in mind that we do have deadlines! November 1st is the priority deadline, and December 1st is the date you should really pay attention to. Most are either before or right after this date. Scholarship deadlines need to be kept in mind as well because close to all students need financial aid. You can get so many scholarships, start applying for them now so that you can get the ones you are in need of! Ms. Scheffner said that college will give you more options and keep your doors open, it is an important experience to have that can not really be replaced by anything else. Nothing can take away from a well rounded education. Something that can help you when you are looking at what you would like to major in is to look at internships. They recently had college day and that gave the students somethings to be thinking about as the seniors start to make their decisions about what the next step of life is going to be. Whether you are considering college or another path look into the facts of all your options. College week is a good way to do that. ​From dramatic lips to “on fleek” eyebrows, makeup has been a huge trend lately. There are Instagram and Tumblr pages that are filled with videos and pictures of makeup that citizens are enjoying all around the world. Makeup is an expression that many people have used over thousands of years. Right here at Alta High School many students are wearing makeup. Some being dramatic looks, soft looks, exotic looks and so much more! Fall is upon us and we’re getting into the warm colors to paint aloft our faces. For a warm look on the eye you would want to go with soft browns, golds and neutral pinks says Pat McGrath, a skillful makeup artist. For a bold fall look for your lips go with the red and purple shades in the color wheel. Foundation on the face is the key to an amazing makeup look says a former makeup artist on YouTube. Nikkietutorials account on YouTube said, “Foundation makes the perfect makeup look.” When it comes to foundation Nikkietutorials is a BOSS. For her fall looks she grabs the foundation of her face color and blends the product in with a beauty blender or a stippling brush. After that she grabs the concealer of her choice and highlights under her eyes on the bridge of her nose and the center of her forehead and blends that in. When it's blended she bakes her highlighting with loose powder. After her foundation she does the contour. ​Contour is a huge thing in this generation. It is making a comeback. Makeup artists credit Max Factor for contouring term and technique back in 1945. And now today, in this generation, it’s back. People are using contour to shape their face and to accentuate their individual features on their face. Contour isn’t needed but it adds imposing detail to an sensational makeup look. Ladies, do we really know what we are doing? Ladies, do we really know what we are doing? A young girl in Michigan was hospitalized, put into a medically induced coma, and put on life support. This is all due to Toxic Shock Syndrome. Caused by, none other than our wonderful friends, tampons. If you leave a tampon in for more than 8 hours you are highly likely to develop toxic shock. Toxic Shock Syndrome is an occurrence were something in your body turns toxic and slowly starts shutting down your body’s organs one by one. This is why it is so very important to change your feminine products several times a day. It is also imperative to all those reading this that It is not just girls who have this issue. Men can also develop toxic shock syndrome, however it is much more rare than women. Toxic Shock is extremely serious and very important that if you feel that you are falling ill contact your doctor immediately. Pale and clammy skin, signaling a rapid drop in blood pressure; if toxic shock is left untreated at this stage, it will quickly lead to loss of consciousness, cardiac and respiratory failure, and death. 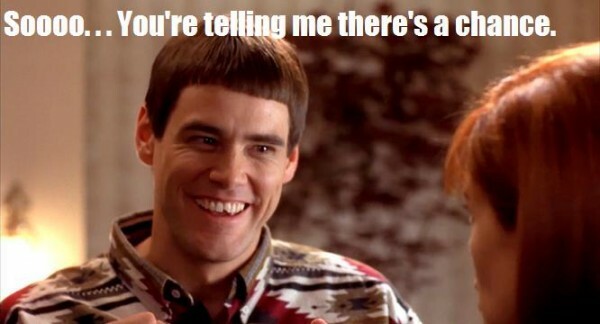 ​ It is up to 1.6 billion dollars, a record-breaking jackpot for the Powerball lottery offered in 44 states in the United States. That is enough money for each American to personally receive almost 5 million dollars, and possibly end poverty in the country. But since that won’t happen, buyers are forced to face a 1/292.2 million chance of getting it made for the rest of their lives. How small is that possibility of winning? Let’s just say you have a higher chance of making it to the NBA, being a movie star, dying on an airplane, being struck by lightning and attacked by a shark combined. Still not convinced? You have a better chance at becoming the next United States President than winning. Better start studying law and government and save a few bucks! Oddly enough, three Americans have received a winning ticket. Residing in Tennessee, California and Florida. The winning numbers were 08 27 34 04 19 and Powerball 10. The three will have to divide up the money equally. Advisors of the Powerball advise not to take the earnings as a lump sum, or they would lose around 30% of the fortune right off the bat. As for Utahns, there wasn’t any luck to be found this year. The majority of buyers were forced to buy their tickets out of state, mostly in Idaho. As for the Powerball now, excitement is dying down as the risk-takers of America try their luck at yet another lottery with immense odds. The ISIL threat, is Great Britain joining in? Great Britain has had to make a decision, whether or not to bomb Syria. Their decision has been highly argued in parliament as well as it being a major media outlet in the country itself, many people believing in the bombing and many against it however the decision is that they will begin bombing operations in Syria directed at ISIL which means that the British are in full support of getting rid of the ISIL threat, and are with the U.S and other allies in this endeavor. The final vote came down to 397 to 223, a large majority of the lawmakers deciding this and yet the people of Great Britain are at 48% for and 52% against. This decision was most likely due to the attacks on France who has also joined in the bombings of ISIL, Cameron said “If you, like me, agree that ISIL needs to be defeated, you should not be sitting on your hands.” Then proceeded to say “They want to bomb us now, they would have liked to bomb us already.” A new ally joins the fight against ISIL, and perhaps changes the playing field and the balance more in our favor. ​This week, we congratulate Shaley Allen and Kalisi Uluave as our Teachers of the Week! Shaley is new to Alta to Alta and teaches computer technology classes and web design, while also overseeing the DECA club and school store. She is a graduate of SUU who likes to watch sports, but also loves to shop! She has a really fun personality, a great way of connecting with the students, and never misses an episode of the Bachelor! 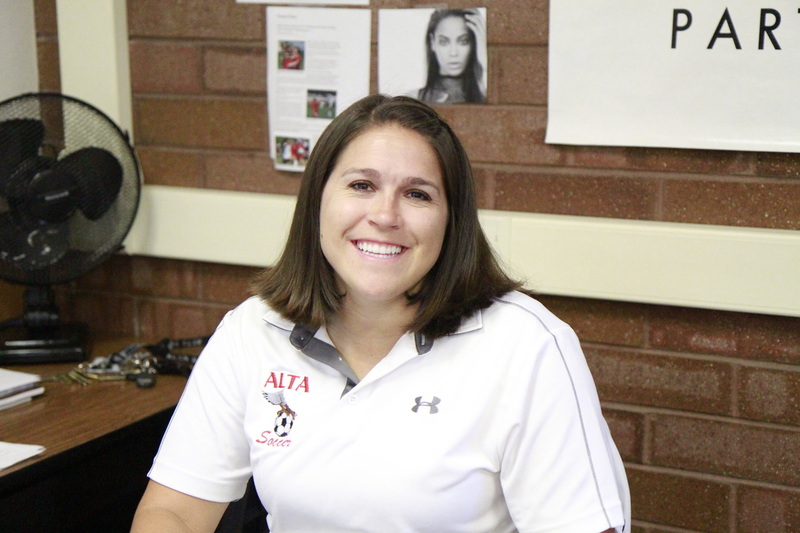 Kalisi is also a new teacher at Alta and is a graduate of SUU and BYU. 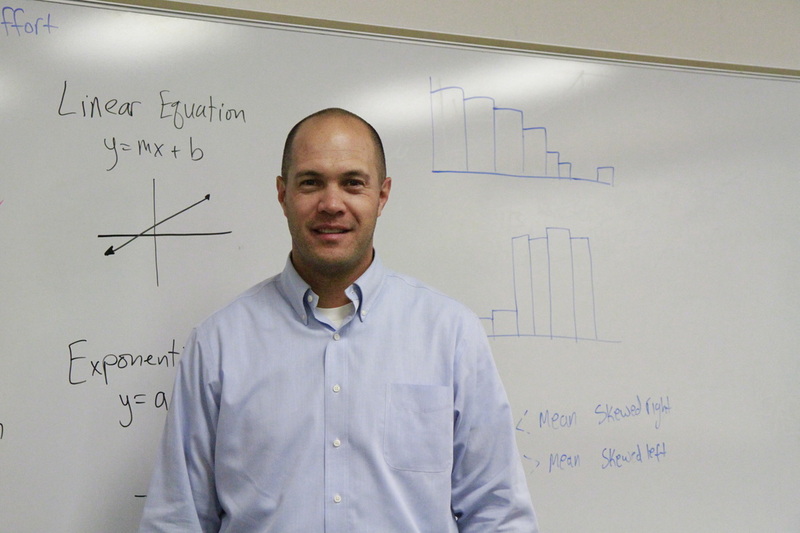 He teaches Secondary Math, all levels, and LOVES football! He already claims Alta Hawks as his favorite sport team and spends his free time on home improvement projects and playing any sport he can find. Welcome to Alta —— Ms. Allen and Mr. Uluave!